Thank you for submitting your item for appraisal. This appears to be just what you suggested. 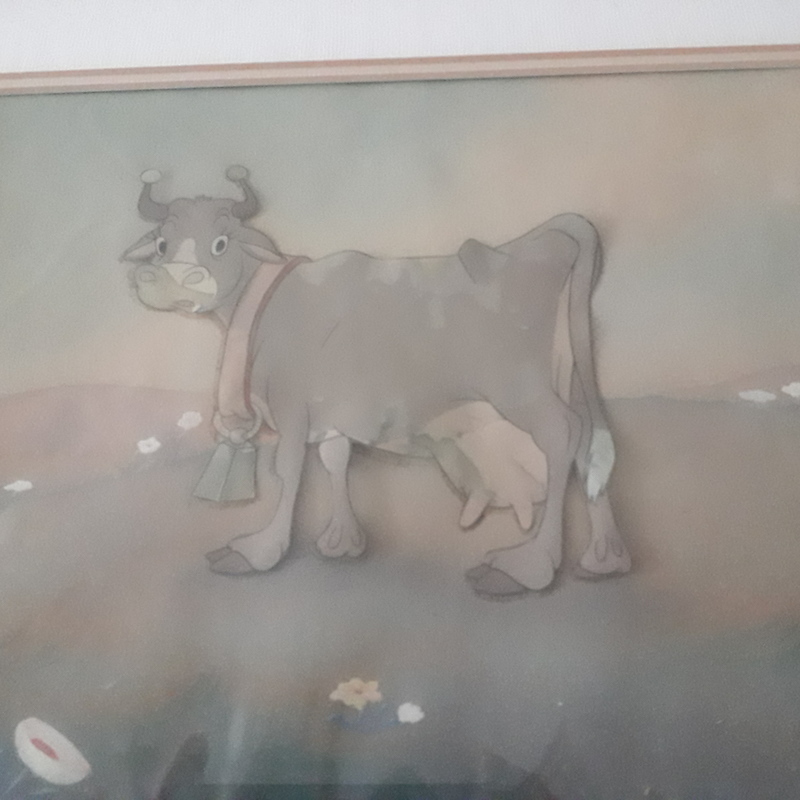 These are two so called cells made in the Walt Disney Studios, original animation color celluloids from the 1938 production of “Ferdinand The Bull”. Few similar were sold or offered in the recent past at auction. The estimate is based on similar sold at auction. The auction result very much depends on the cuteness of the character or the iconic moment within the movie shown. There is no measurement for the sentimental value you might attach to the item.